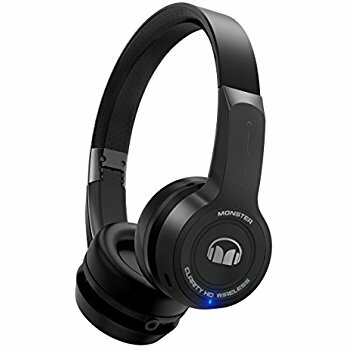 Monster’s audio products are always cutting edge. The ClarityHD headphones provide a swipe control​ for play/pause, tracking, and volume​. As far as wireless on-ear headphones go, these provide superior performance and sound quality. Plus, the ultra-soft ear cushions and pivoting ear cups​ make for a very comfortable pair of headphones that won’t slip off your head no matter how active you are.